Rezwanur Rahman is a former Microsoft employee. He worked at Microsoft in Bangladesh. 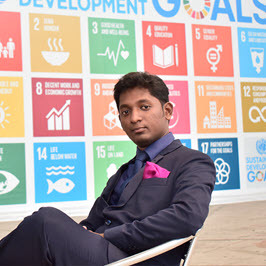 He is Microsoft Student Partner Lead and YouthSpark Advocate, working with Microsoft Global Citizenship and Public Affair Team since 2013. Rezwanur is software engineer graduate at American International University - Bangladesh. He is a programmer/software engineer experienced on Desktop, Web and Mobile platform. He received Microsoft MCT in 2016 on Office 365 and Microsoft SharePoint platform. He is the National Delegate of Government of People Republic of Bangladesh at Commonwealth Heads of Government Meeting 2018. He loves to share his expertise to others via offline and social media. He is very active in Facebook and Twitter. He loves to work with Microsoft and its technology. He is based on Chittagong, Bangladesh.